We have strengthened our ExMesh™ security products team with the appointment of Ian Salvin as Security Fencing Estimator. 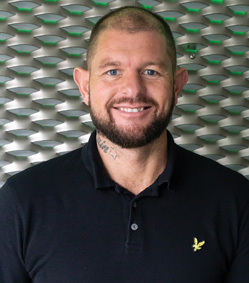 An experienced estimator and installer, Ian has joined the company to take up a new role which encompasses estimating, sales and technical support, as demand for our ExMesh™ products continues to grow. Ian, from Hartlepool, has a wealth of experience, gained from sales and estimator roles within the fencing sector: this includes 13 years at Peart Fencing as Senior Estimator. He has also worked as a fencing installer, giving him additional understanding of the technical challenges encountered by contractors. Ian Salvin, Security Fencing Estimator at the Expanded Metal Company said: “I’m proud to be joining the company as it has a long-standing heritage in Hartlepool and an international reputation for security product innovation. Philip Astley, Managing Director of The Expanded Metal Company added: “We’re delighted to welcome Ian to the company. 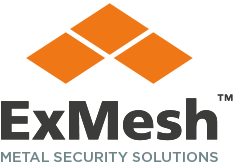 Our customers will greatly benefit from the comprehensive security industry insight, product knowledge and experience he brings to our ExMesh™ team.